The Compostela is the greatest achievement you can get a pilgrim at the end of your road - regardless of personal satisfaction that brings complete the Camino de Santiago and reach the goal. This document, issued by the ecclesiastical authorities, certifying have completed at least 100 kilometers on foot or horseback (200 if done by bike) the Camino de Santiago. As you know and as we have told, in Compostela is issued to all those pilgrims who, by duly stamped credential Way, demonstrate step ordered by different enclaves of the Jacobean routes. 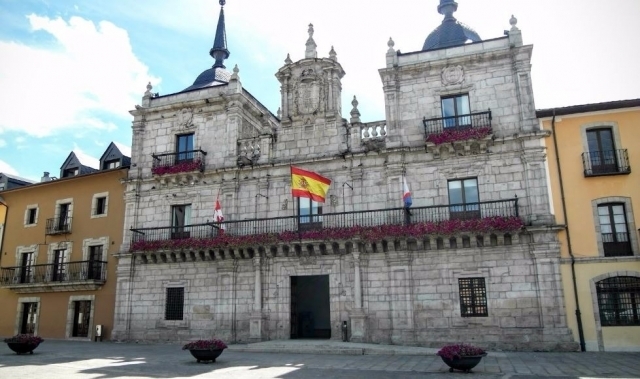 Recently, the Municipal Group of Citizens in the city of Ponferrada manage recently proposed by the Archbishopric of Santiago, and if possible, delay from Sarria to Ponferrada the beginning of accreditation for the compostela; a move that could benefit Ponferrada capturing up to 300,000 pilgrims. Rosa Luna, city spokesman of C's in the city of Ponferrada, has also ensured that a large current problem is signaling Camino, who also calls for greater interest of the municipality to value the importance of the Way. Tendrá susncosas buenas y malas. Me imagino que si lo proponen, habrán decidido que beneficia a la mayoría y, sobre todo, al camino en si.